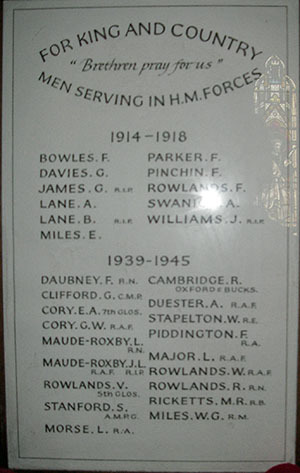 In Saint Bartholomew's church, Notgrove, Gloucestershire, is a simple wooden framed Roll Of Honour. WILLIAMS. J. R.I.P. DAUBNEY. F. R.N. CAMBRIDGE. R. OXFORD & BUCKS.